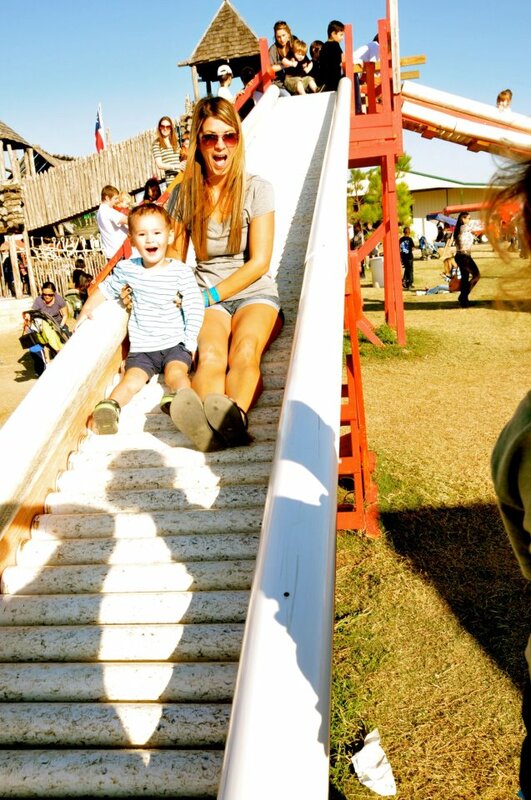 Last Sunday, October 30th, Nick & I took the kids to Dewberry Farms. It's in Brookshire, TX which is about a 45 minute drive from our house. 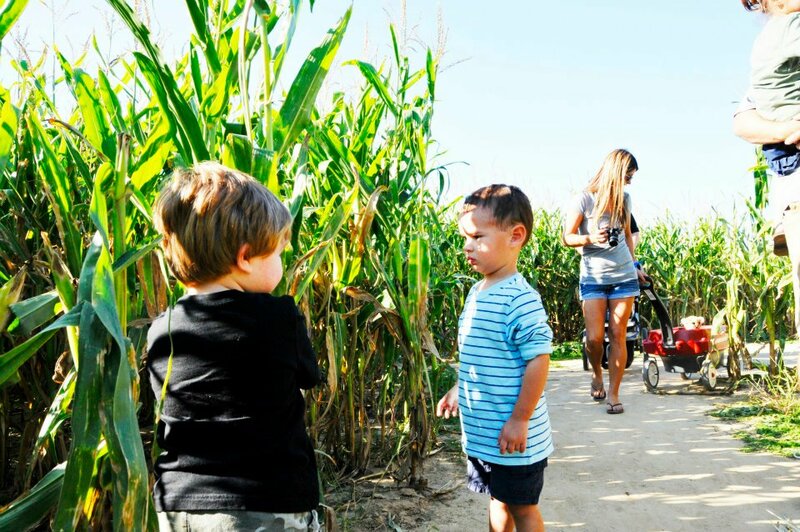 There are lots & lots of fun things for the whole family to enjoy! Upon arriving, the first thing we did was walk through the barn & look at all the animals! I'm sure you know who wanted to do this first!!!! Addy & Nick looking at the goats. Then we went to the duck pond. They swam right up to us! I like his speckled head. This is Serengeti. He is Addy's class pet at school. It was Addy's turn to bring Serengeti home for the weekend & so he went to Dewberry Farms with us. He had lots of fun! Serengeti & Addy taking a picture. Addy as the bus driver is checking on all of her students! & Alex will probably really hang out the window like this if he ever rides on a school bus! Alex & Clay discussing which way to go, lol! 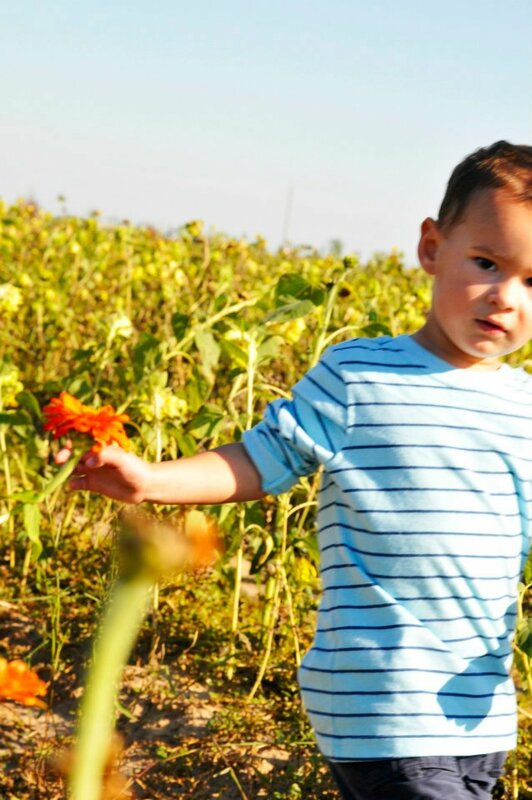 Next we let the kids play in the flower patch. Sadly, a lot of the flowers were dead because of our horrible dry summer. 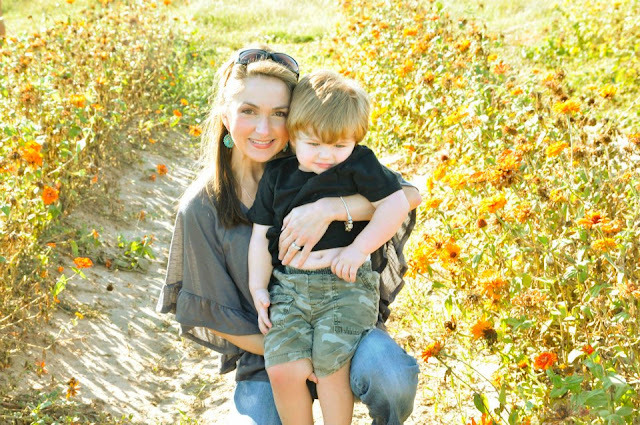 Alex picked a flower for Serengeti. 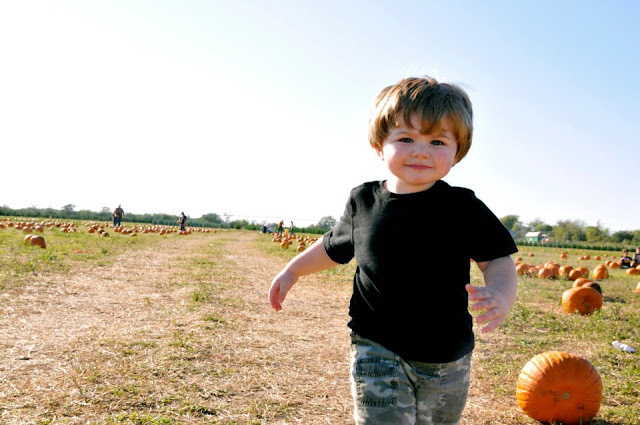 After the flower patch, we walked over to the pumpkin patch. I tried to get a picture of both the kids (& Serengeti), but they wouldn't sit still long enough! 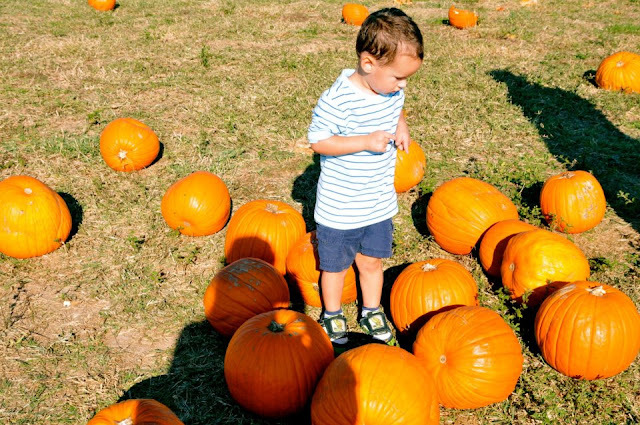 At this point, both Nick & I were both pretty disappointed in Dewberry Farms. We had never been before & we were expecting a lot more. 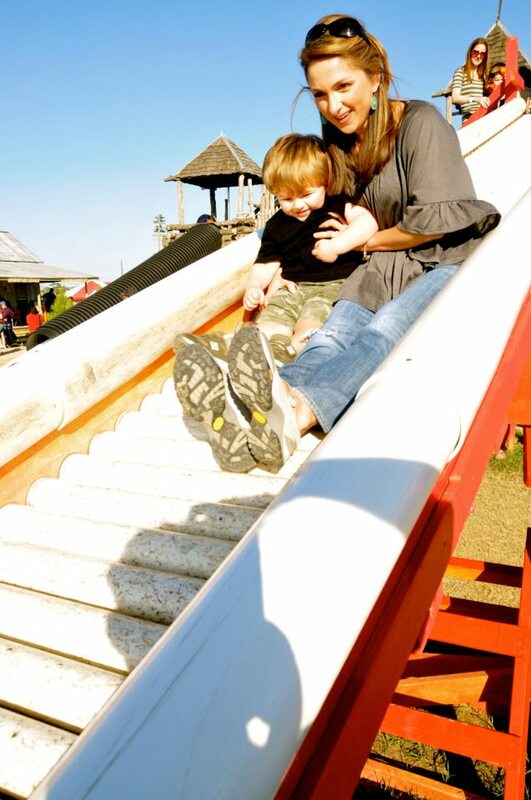 Alex really wanted to slide & play, so we walked over to the play area & our thoughts about Dewberry Farms changed! There are a ton of outdoor toys for the kids to play on that were a lot of fun. Corn Ball -this was Alex's FAVORITE!!! He wanted to do it over & over & over! You climb up on a bale of hay & jump off on a big bouncy ball that looks like a piece of corn.